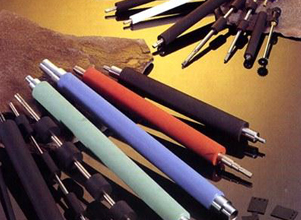 Ames Rubber Manufacturing manufactures and re-conditions a wide variety of rubber and urethane coated rollers from a variety of moldable materials to your specific dimensional requirements. For new rollers, our machine shop gives us the capability to manufacture steel and aluminum cores to your specifications, then sand blast and chemically prepare them for a superior bond to the elastomer that you require. 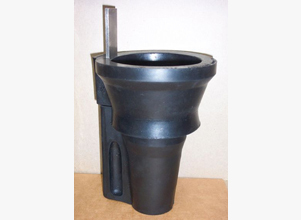 The rollers, once molded, are then ground to your requirements. We can also insert setscrews if needed. For recovered rollers, your inserts are first stripped if required then sand blasted and chemically prepared prior to molding. The elastomer is then molded directly on the insert. The result is a vulcanized bond that is as strong as the material itself. The final dimensions are lathe ground to exacting tolerances with the required surface finish. Cut down on maintenance costs. Increase the life of your hand tools. Save unnecessary wear and tear on your hand tools. Keep tools off the floor, out of bins, and out of the way. Eliminate the hazard of tripping. Eliminate twisted and snarled hoses keep tools in an orderly fashion.